Bruynzeel Rijksmuseum Coloured Pencils Set of 24 includes one each of Burnt Sienna, Flesh, Crimson Red, Light Flesh, Vermilion, Carmine, Mid Orange, Light Lemon Yellow, Leaf Green, Light Green, Viridian, Kings Blue, Indigo, Dark Violet, Mauve, Candy Pink, White, Dark Gray, Black Intenso, Burnt Ochre, Dark Brown, Yellow Ochre, Green, and Ice Green. 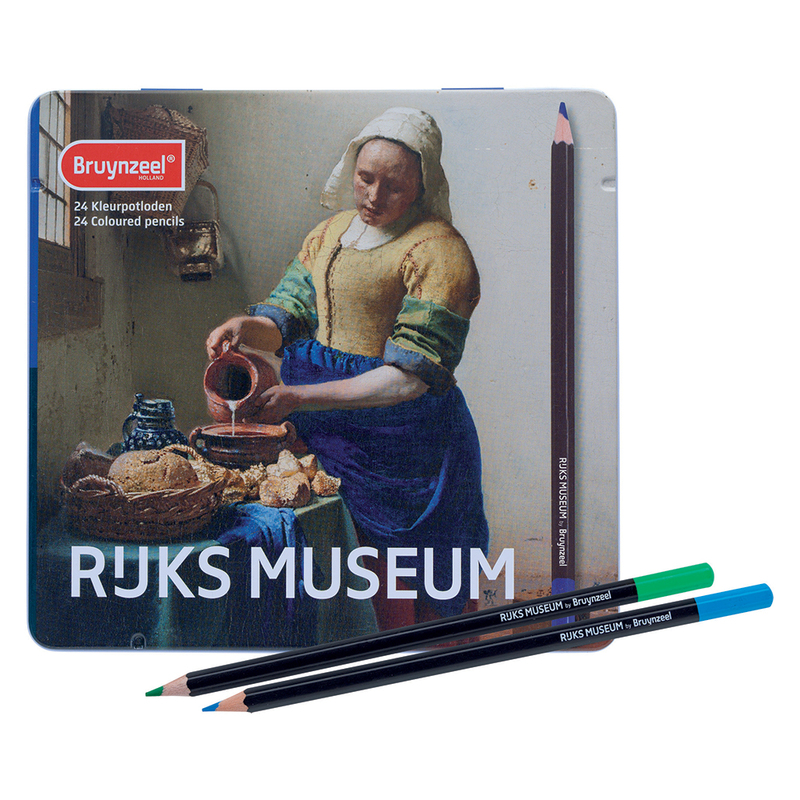 Inspired by the works of Vermeer, and Rembrandt displayed at the Netherland's famous Rijksmuseum, Brunzyeel has designed a series of pencil sets that inspire artists to do their best work. 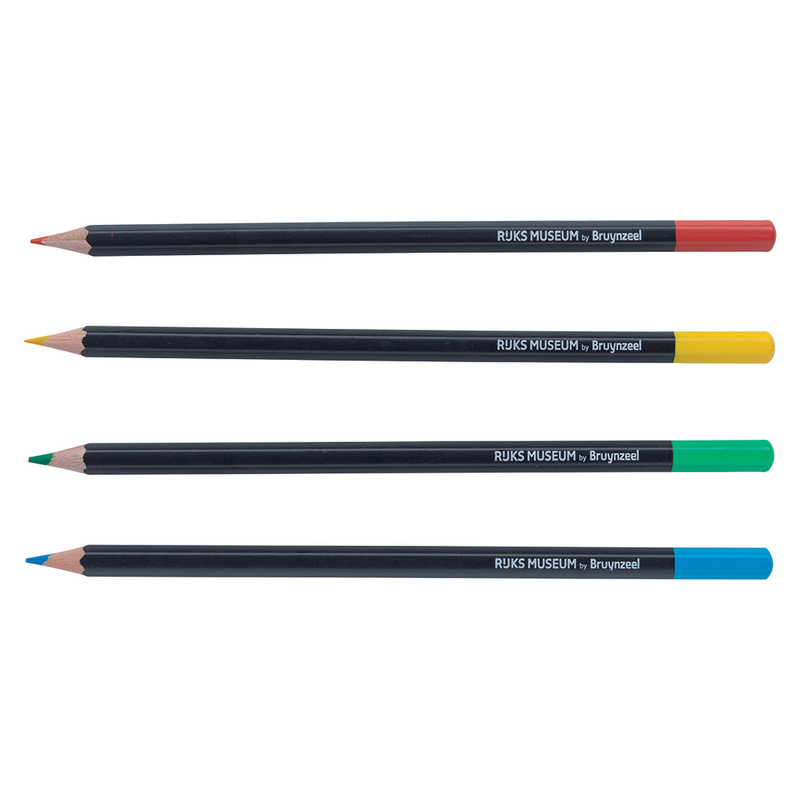 These graphite, and colored pencil sets contain colors and grades that were carefully chosen to evoke the work of the Dutch Masters. 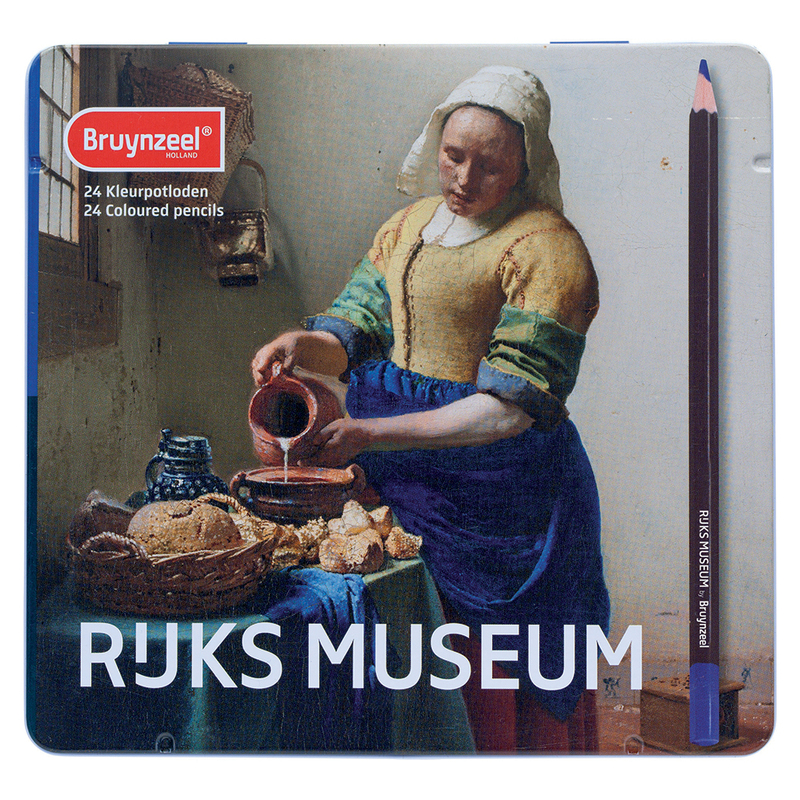 Much like the Rijksmuseum's vision of linking individuals with art and history, Brunyzeel Dutch Masters Pencil Sets link artists to some of the greatest artworks of all time.